After starting fly fishing one year ago, I soon realised that if you want to experience the pleasure that this sport offers, you have to tie your own flies. 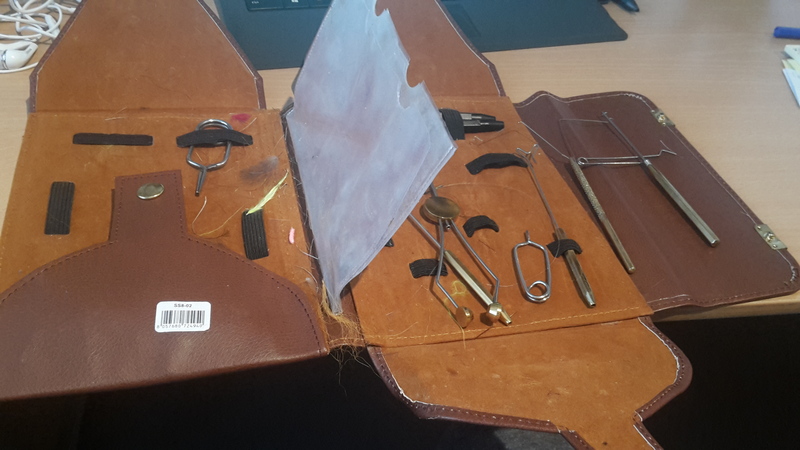 For this purpose I bought various fly tying equipment, among others the Taimen Deluxe Tool Kit. This set was in extraordinarily bad quality and not even worth one penny. Some tools broke within one week. But the icing of the cake was that the set didn’t even include all articles which are showed in the picture on the website. For example, the travel vise you see on the picture above wasn’t in the set. I wrote Taimen a review about the bad quality of this set but my review wasn’t even published. 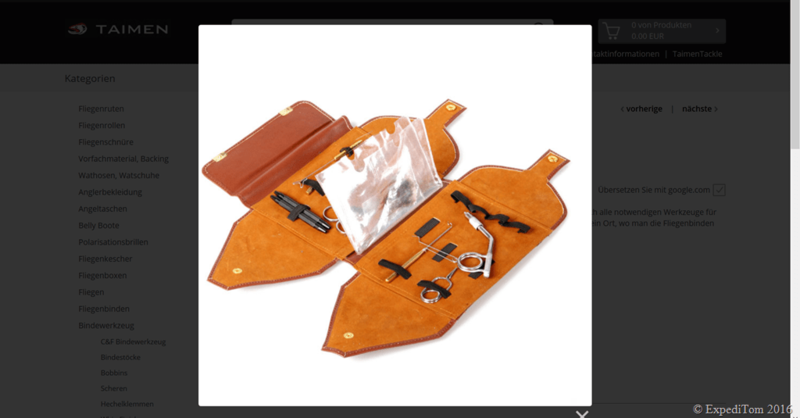 Therefore, ExpediTom rates the Taimen Deluxe Tool Kit as following: Never ever buy the Taimen Deluxe Tool Kit. This set is absolutely useless. I can’t recommend it to anyone. I was and still am deeply disappointed by the brand Taimen because of this maltreatment of costumers. Although Taimen sells some outstanding gear with very reasonable prizes such as the Taimen Wader River II Classic and the Taimen Wading Jacket Master. However, this product showed me a very different side of Taimen. Do you have any experience with Taimen products? Do you think this was a single case or not? What was your worst purchase ever?